Founded in 1986 by Ronn Teitelbaum, Johnny Rockets is a hamburger restaurant that is based on the 1950s-diner style. Now owned by Sun Capital Partners, who purchased the business in 2013, the company headquarters is in Aliso Viejo, California. The company is also still privately owned. You can find the Johnny Rockets application link below. The restaurant currently has approximately 330 locations across the United States and the world. The restaurants can be standalone locations or they can be found in places like airports, amusement parks and sports arenas. You can even find some locations on Royal Caribbean cruises. Overall, the company sells about 15 million hamburgers each year. More than 7,500 employees work Johnny Rockets careers, currently. The company operates in 32 states and 26 countries other than the United States. The restaurant serves a variety of items besides hamburgers, including Philly cheese steak sandwiches, salads, shakes and floats, sandwiches and sides. If this sounds like a place you would like to work, you should fill out a Johnny Rockets application today. As part of the restaurant industry, the company has a lot of competition. To keep customers returning, the business still follows its guiding principles. These principles include providing a great work environment for its employees, serving great food in a fun environment, exceeding guest expectations and having the highest standards of excellence in all the company does. Corporate job opportunities include positions in purchasing, marketing, product development and information technology. Corporate jobs will require someone who either lives near the headquarters in California, or is willing to relocate to the area. These jobs may require more experience than restaurant jobs, so be sure to carefully read the job description before you apply. Employment opportunities at the store level include careers in management and other hourly positions. Managerial positions include manager and assistant manager jobs. These jobs require more experience than the hourly positions. Hourly jobs include server, cook, busser and host. If these jobs sound like something you would be interested in, you should fill out a Johnny Rockets job application online. How old do you have to be to work at Johnny Rockets? To start Johnny Rockets careers, you must be at least 16 years old. Restaurants are open from 11 a.m. to 9 p.m. from Sunday through Thursday. On Friday and Saturday, the restaurants open at 11 a.m. and close at 10 p.m. While all jobs offer employee benefits, Johnny Rockets jobs give employees a wide range of benefits. Working at Johnny Rockets means that you may be eligible for access to a company 401(k) retirement plan and healthcare coverage that includes medical, dental and vision insurance. Managers may also get vacation and said pay. Manager – Managers work with other staff members to build great, lasting relationships with the restaurant’s patrons. Managers may also need to step in to help the kitchen staff during busy hours. Managers also need to make schedules to make sure that the restaurants are properly staffed at all time. Managers can earn a salary of $40,000 or higher. Cook – Cooks’ responsibilities are making sure that all food is safely prepared and prepared according to company recipes. Cooks also have to keep the kitchen area clean and perform temperature checks. Cooks need to work well with other employees to make sure that orders go out in a timely manner. Cooks generally make minimum wage to start out. Server – Servers are responsible for taking care of the restaurant’s patrons. Servers take beverage and food orders and make sure that the proper orders are brought to each table. Servers need to be able to use the cash register. Servers usually make the federal minimum wage for tipped workers, but they also make extra money with tips. Assistant Manager – The job description of the assistant manager is very similar to that of the manager. This Johnny Rockets career requires someone who can act as a supervisor to other employees. Assistant managers will be expected to step up when managers are absent. Assistant managers typically make around $14 or $15 an hour. Do you have any previous restaurant experience? Restaurant jobs are unique. If you have restaurant experience, you should tell the hiring manager, as it might help propel you to the top of the list. If you don’t, don’t worry, because not all positions will require previous experience. How do you handle stressful situations? Working in a restaurant can be very stressful, and how you handle that stress is very important to the interviewer. If you aren’t good at managing stress during busy times at the restaurant, you won’t be a good fit for the job. What would you do to make sure customers’ needs are met? Customers are everything to the company. If you can prove that you can meet the needs of the most difficult customers, it might help you land a job over other applicants. Managerial applicants will need to prepare for a few more strenuous questions, such as “Have you ever managed a restaurant before?” and “What is your preferred management style and why?” Questions like these are designed to help the hiring manager decide which applicant is the very best fit for the position available. If you decide to apply for jobs at Johnny Rockets, you should know that there are a couple different ways you can fill out an application form. 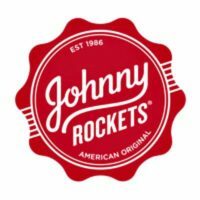 If you want to apply online, you can go to the company’s website where it will walk you through how to apply for Johnny Rockets online. Also, you can browse a full list of open Johnny Rockets jobs online. You could also decide to apply in-person, but you should know that there is no printable application for Johnny Rockets. Since there is no printable application form and no place to select download application form, if you want to apply in-person, you will need to go to a local restaurant and request a free application. Regardless of how you apply for Johnny Rockets jobs, you should fill out a direct application and include a copy of your resume that outlines previous work experience. If you fill out an online application, be advised that it might take longer for the company to review it. You should expect to hear back from the company within four weeks after they go over all the applications. If you are asked to come in for an interview with the company, you should make sure that you prepare for a few common interview questions, such as the ones listed above. You will also want to make sure that you do a little research on the company so you can ask detailed questions that will help you impress the interviewer.